As a beginner its ideal to be able to go out and surf in pretty much any conditions to catch waves – first in the white water and then catching unbroken ‘green’ waves. A surfboard that will help you achieve this when you are a beginner is going to be a board with plenty of volume. So remember…for now atleast ‘volume’ is your friend. Other factors to consider when picking a beginner surfboard can include durability, because as your learning you may knock your board around a bit and a practical consideration might be ‘ Will it fit in my car?’ this can be important. So there’s quite alot to think about… so lets look at the main types of surfboard you would want to consider to learn on and the pros and cons of each. The lifespan is not as long as fibreglass or epoxy boards as foam boards can deteriorate. Popular brands for foam boards include: Swell, Alder, Liquid Shredder. Foam surfboards are typically available in 6 and 7ft versions (for kids and lighter folks) up to the 8 and 9ft models. 8ft long would be the smallest length a regular adult would usually learn on. One thing to be aware of is that there are a number of cheap, low quality/ poorly constructed foam boards being sold on sites like Ebay. 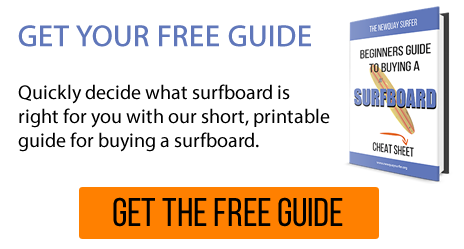 If your unsure of what brand of foam board to buy, check the brands surf hire shops use – these will tend to be tried and tested durable foam boards. Should hold value fairly value if you decide to sell. Entry level brands that sell tough beginner friendly long boards include: NSP, Cortez, BIC…For more performance based & better quality long boards check out NinePlus, McTavish, Bilbo, Surftech, SkinDog Surfboards & Quiver. A standard Fibreglass (PU) surfboard will not be as tough and forgiving to knocks and dings as Epoxy surfboards – though most performance shortboards will be PU. A minimal is still quite a large board so it can be difficult to get out back in overhead high waves (though if you’re a beginner you probably should think about sticking to surfing smaller waves to begin with). The popular brand for beginner minimals is NSP. They are made from Epoxy so are very durable and keep their value well and are available from around £250.00. That said they are not necessarily the best minimal surfboards if you’re looking for performance. Brands like NinePlus, McTavish and Surftech etc offer some fun performance minimals in the mid to higher price bracket – with the boards available in regular fibreglass/ PU versions or Tuflite Epoxy for the Surftech versions. Similar to minimals a Magic Carpet surfboard is a small version of the longboard with the middle 2ft taken out. Can be popular boards with the general surfing public, so hold resale value well. These surfboards have quite a wide and flat nose design which means if waves get steep or very choppy, care must be taken to avoid stalling or sinking the nose. Whilst smaller than longboards Magic Carpets are not as fast or as manoeuvrable as shortboards, and still have quite a big turning radius. There are some good Magic Carpet style boards out there in both single fin and thruster 3-fin options – the NinePlus surfboards seem particularly popular. These surfboards are able to catch very small unbroken waves and can still handle overhead waves. Whilst they do not have as much volume as a longboard (so require more effort to paddle onto a wave) they can be a more practical option if you want to fit your board inside a small car. Need to have mastered duck diving to be able to get under waves when paddling out. Non – epoxy versions can be susceptible to dings quite easily – especially on the fish tail area. Don’t tend to hold resale value quite as well as boards like the NSP minimals. Not an obvious choice for a real beginner. Learning to surf on a foam board, longboard, minimal or magic carpet first would make sense before moving onto a fish surfboard. Harder to catch waves. Lower wave count for beginners likely so you will spend less time surfing and more time paddling. Its important to note that big shortboards are not big purely because of their length, but also because of their width too – we’re back to the volume thing again…Big shortboards will often be atleast 20 inches or more wide. Well known models are made by brands like Tiki, o’Shea and even Firewire have a boards that fall into this category. A large shortboard – sometimes referred to as a ’big boy’ or ‘fatboy’ are sometimes encouraged as learner boards because they can have a lot of volume when they are in the 7ft + range. that said, they will tend to have less volume than a minimal of similar length, due to a shortboard shape having a more pointy nose. In a nutshell your own personal taste will come into play when buying your first surfboard to learn on, but as a yardstick here is a rough reference – you’ll notice the more often you surf the more choices open up in terms of what board you could ride. Hey my names Sari im 11 and need help buying a board thanks soooo mutch for ur helpful advise i skate and have been competing since i was 10 but i realy want to surf. Hey, I am 6’1 in height and about 12.5 stone(about 175lbs ish). I have heard Bic are the best mini mals. I have surfed a bit before at college but on foam boards. I am going to uni on the coast next month in swansea and want to get myself a board. would a 7’3 bic mini mal be okay for me or would i be too heavy? 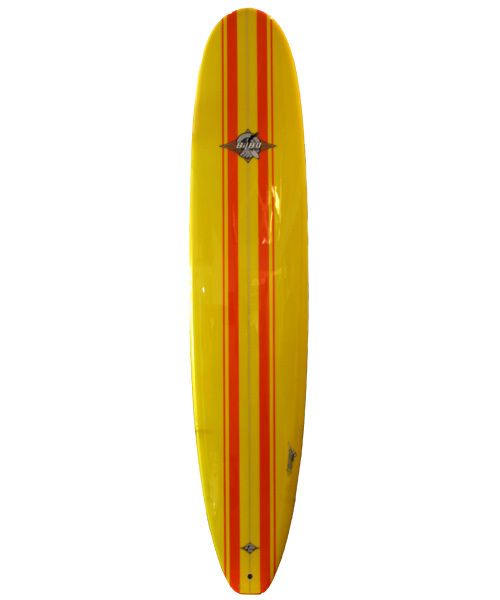 or would it be better to go for a 7’9 bic mini mal. Please advise me on this and in general. thank you in advance. Looking for a board for my daughter 130 pds and 5’5 has had a few lessons and will surf 10 times per month. I am 5’5 160 pds. I was thinking a mini mal fun board. Bic or nsp? I’d go as big on the board as practical. 7’6 or longer. Maybe even 8 ft if you can fit a board of that size in your car. Bic are not really de facto ‘the best ‘ mals – there are performance mals made by many other shapers. Though nsp and bic are good for beginners! Hi, what kind of board would you recommend, if you are planning to surf as much as possible for about 2,5 weeks and sell it again because you won’t take it on the plane anyway? Mike, I would suggest a large foam board, so 9ft or a longboard – again at least 9ft. Cheers. Willi, that’s a tough question to answer because it depends what country you will be surfing in? I am just looking for information about what surfboard would best suit me. I have never surfed before but am looking to do it on a regular occasion with friends who surf. I am female, 27 years old, small frame, around 5″5 in height and weigh about 53kilos. I am not real keen on a foam board. Is there another board that I could go for? Hi. The article was written with the UK in mind, so I really can’t comment about the best boards for north or south shore of Hawaii. Best to ask locals! If you really don’t want to learn on a foamboard. Best bet will be something in the minimal to longboard range – though as you are quite light you will prob be OK on minimal from 7’2 – 8’0 range. NSP make cheaper long lasting models, brands like NinePlus make some cool retro designs…but cost more. I have surfed a couple times. im good at a longboard and i have ridden a shortboard a couple times. I dont want a longboard, i would want one about 6′ and under. I want to try and learn tricks. I think it would be a waste to spend money on a longboard and then a shortboard, because once i get the shortboard i would never ride the longboard anymore. I was looking into maybe a lost board or something of that sort. Any opinions? If you aren’t in the best shape and not looking to rip check out the foam surfboards. 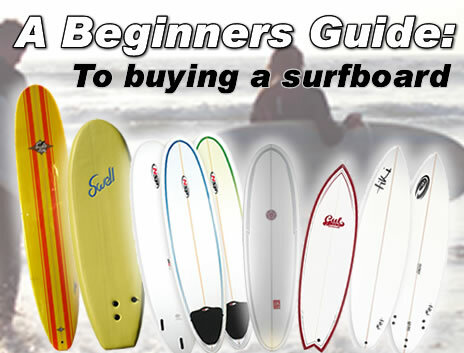 They are easy to learn on and most important safer for you and the other surfers in the water. Check out the following link for details. Most people would probably get a minimal 7-8ft long as the first, smallest board to learn on. Hi, I’m 5’7″ and weigh 143 pounds. I have had a foam board for a year and have managed to surf quite a bit so I’m ready to move onto a mini mal. I’m not sure whether I should buy a 7’4″ or a 7’6″ board. What is your opinion? Thanks heaps! Hi. I’m quite a beginner, 5ft.7in. and about 158lbs, what type of board would you suggest for me? 1-to-2 times a month would be a fair estimate of how surfing suits my schedule. Thanks. Hi, I am 4″9 and 12 I’ve never had lessons but I have tried surfing on a boogey board and only caught a few waves. I think I have the hang of what I’m supposed to do. So what would be a good choice for me? I am a beginner and way 103 lbs!!. I have been given a 7″2 NSP funboard as a present last year. I am having trouble catching waves with it and am a beginner and getting frustrated as I want to get into surfing but feel this board isn’t for me. Do you think it is worth selling this board and getting a longer one so that I am able to catch more waves, or do I perservere with the one I have? Could I trade it in at your store and if so how much would I get for it? It is pretty much brand new with no dings on it! I am 5″11 and weigh 12 stone 76Kg. Is there any recommendations or advice you could give me? Hi. Suggest you get in touch with a surf school and get some lessons on a foam board. The 7’2 may be a bit small for your height/ weight if you are a total beginner. Re: selling your board – try ebay or contact surf shops close to you. The best thing to do is contact a surf school and get some lessons – they can help you the best, once they can see how you surf. Good luck! Hi !! I’m 18.. Never had the opportunity to surf but been doing bodyboard for a while.. 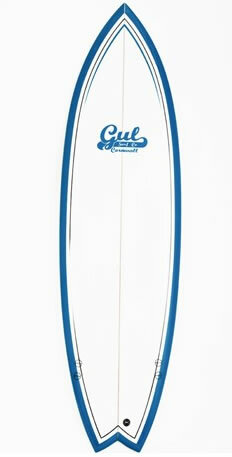 But was thinking about buying my first surf board.. Actually don’t know what to get.. Could you help? The country for surfing will be Portugal..
hiya Sofia. I’d suggest take some lessons. You’ll usually learn on a 8ft or 9 ft foam-boards if you go with a surf school. Once you can stand up on those and control it a bit, then you can think about harder surfboards. I believe people should really learn first on softer foam surfboard for their own and other people’s safety – in fact its a law in parts of California. Most surf schools in Europe will usually have some hard fiberglass or epoxy longboards too. These will be 7ft range ( minimal) to 9ft (long-board), so you could try those. My main tip would be to have lessons on foam boards first. Get competent on those, then try some other surfboards the surf school has. Great advice for a newbie like me, thank you! Hi, I am 16 and currently surfing a 7ft foam board and have been standing up quite happily on it in the surf down here in Cornwall and I am looking to move on. What kind of board would you suggest I look at please and I am looking to buy second hand. Well, it depends on the style of surfing you like…You might want to try a hard mal surfboard around 6’8 -7’2 size and see if you like that. Or you could go shorter and maybe try a fish. An option is to go to a surf hire store near the beach where you surf and hire one, but I feel the best option is probably to take a lesson with a surf school instructor that will have these types of boards at the surf school, so you can try them out during a lesson, and get some tips from your instructor too. Good luck! im 14 years old and would like to start surfing. I rented a surf board. A 8ft soft board. I would like to buy a 7ft mini-mal or a fun board. I would really like a board under 8ft as i found the other very hard to maneuver. I would just like to know what type of board and what size of board i should be looking at. yopu havent mentioned biscuits, would this be a good board for me, im 13st, been surfing for a while but slowing down due to being 49.
tried a minimal but cant get on with it. i need volume but want manouverability. minimal hard to paddle out. hello im am: 5.3ft and 90 lbs, i like the idea of a longboard but i am still 14 and i dont surf jet (dont live near the beach in holland :\ ) but in a couple of jears i want to surf what is the best board for me ?? and thx for the advice. A longboard sounds like a good plan. Have fun surfing! You can borrow the surfboards from the surf school when you have lessons. I’m 17, 5’8″ and 104 lbs. Gunna be going surfing this summer with my brother (who’ll be teaching me), what board would you recommend? Since I’ll be going to college along the coast of CA I plan on surfing more often. You will need the most buoyant surfboard you can get that allows you to learn. At least a 9 foot foamboard or bigger. In the UK “Swell Surfboards” aka Swellboards are usually what bigger guys get given to learn on as they have a lot of float. Also you may need waves with a bit more punch to surf than a 7 stone grommit, but you can still learn for sure! Remember there are some big guys in Hawaii that look like Rugby players that are great surfers! Have lessons on the soft surfboards then maybe get an 8ft Longboard or 7’2 – 7’6 minimal maybe if its summer. They have been popular for California surf for decades. If you improve fast you may find yourself wanting a smaller board – but that’s a nice place to be, cos it means you have done lots of surfing and know you have gotten better! Good luck. and she is going to commit to doing surfing lessons I want to buy her a board for her birthday she is looking for a surf betty can you advise she is 6stone and about 5 ft can you advise which board and can I get off internet. and she is going to commit to doing surfing lessons I want to buy her a board for her birthday she is looking for a surf betty can you advise she is 6 stone and about 5 ft can you advise which board and can I get off internet. Hi – yeah they are made by NSP and many surf shops sell them and there are usually lots on ebay. The ones beginners start on (after having a few lessons on soft foam boards) are often around the 7’6 – 7’10 sort of size. Hope that helps. Thank you – really helpful! The board a beginner/intermediate needs for small to medium waves is the NSP 7.6 minimal. – Medium rocker, you will feel safer in bigger waves and not pearl. – Turns quite responsive, stay in the face of the wave. I wouldn’t get a fiberglass surfboard, simple: the will ding, and sometimes as an intermediate surfer you could land with your knee, the epoxy instead stays intact. I agree with some of your points e.g. Epoxy means its tough, it will last well, and resale value can be good of popular brand boards. However I wouldn’t want to oversell the technical aspects of an NSP as being great for everything. There are far superior Mals out there for performance. In respect to “you will feel safer in bigger waves and not pearl” …well, should beginners even be trying to surf bigger waves? Most beginners are surfing on crowded breaks so I feel they should be discouraged from doing this unless they can control their board, and most beginners can’t otherwise they wouldn’t be a beginner 🙂 So surf within your ability is a good policy. One other thing is that when it comes to a 7’6, I don’t necessarily think a 7’6 is the answer for everyone due to its size. It’s a bit too small for total beginners, especially if they are adult males. I believe many folks would catch more waves and could probably progress a bit faster on a 8-9ft softie or longboard. I think this is a pretty good guide. If a beginner is going to spend the money on buying a board rather than renting I would say go straight to a 9-10ft fiberglass board. You will upgrade eventually anyways. The difference in speed and control is worlds better over foam or epoxy board and you won’t feel like you wasted your money. When you are not surfing the fiberglass board will make for a beautiful decoration on the wall in your living room until you are ready to take it out again. I’m a Santa Cruz native who lives in Salt Lake City now, but I go out to Santa Cruz about 4 times a year for some smooth longboarding. if you’re at the stage of buying board it means you are probably relitively competant but want to improve! while practice is key, is doesn’t actaully make perfect unless you have the right training to acompany it. Do an intermediate surf course to perfect your style and ensure you’re not falling into bad habits.